This Makeup Remover Wipes are ultra-soft so they effectively but gently lift away stubborn makeup -- even waterproof. Formulated with trehalose, portulaca oleracea and purified water, these alcohol-free cloths provide a soothing cleansing experience to leave skin feeling smooth, moisturised and refreshed without feeling dry. A flexible plastic closure also ensures cloths remain moist, making them convenient for travel and on-the-go use. Never worry about the leaks from liquid remover while you're traveling. Tested by dermatologists and ophthalmologists, these unscented wipes are hypoallergenic and non-comedogenic so they won’t clog pores or irritate sensitive skin. Pull cloth out of package and close seal to keep remaining cloths moist. To remove eye makeup: Hold cloth over closed eyes for a few seconds, then gently wipe. 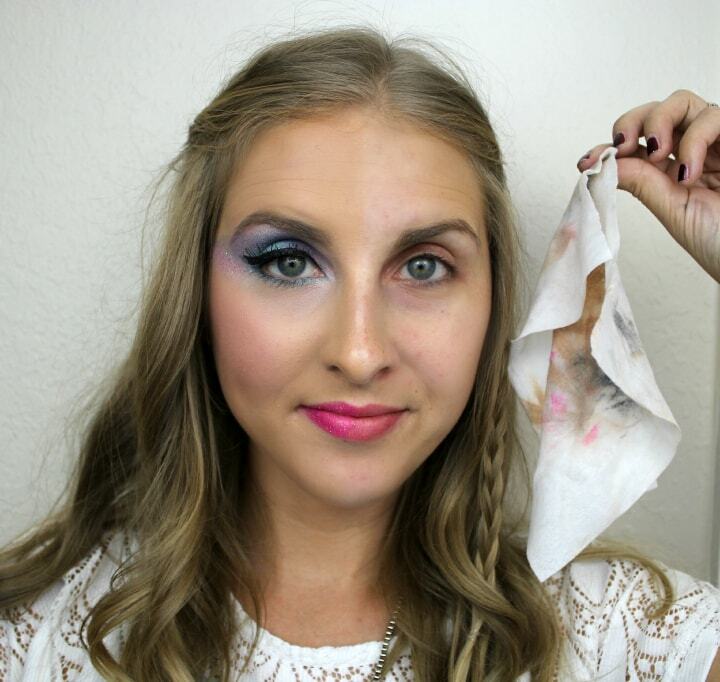 To remove face makeup: Gently use cloth all over skin until completely clean from makeup and impurities.